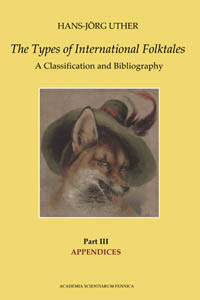 Today's library essentials--The Types of International Folktales by Hans-Jorg Uther--is a budget stretcher. I admit it. But there is a lot of bang for the buck and I will never regret this purchase. And for the amount of information and the three volumes overall in hardcover, it is more than fairly priced, so this is not a complaint about the price at all. It is simply an acknowledgement that the average student cannot rush out and easily buy her own desk copy. If you are new to all of this, this is the book you use to say, "Oh, Cinderella is ATU 510. Beauty and the Beast is ATU 425. There are many variants of these tales!" Then you can look up many of the resources to hunt those variants down. In recent years, the Aarne Thompson Classification System has been updated to the Aarne Thompson Uther System, abbreviated to ATU. That's not big news these days, but understanding the changes as the textbooks and other informational sites catch-up can be a challenge. It also doesn't help that the classification system books are usually single copies in the reference section of a decently sized university library, limiting access for many others. In the end, this is the set you need if you are going to work with the ATU system, because, obviously, it is the ATU system. It is updated and I find it easier to use than the older AT system volumes with somewhat more intuitive listings and bibliography. I wish these were available as an electronic resource (i.e. software or ebook) which would be lovely. Now that's some programming I could enjoy and find infinitely useful on many levels! 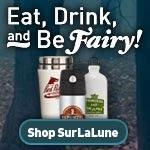 I have often considered building a fairy tale database of resources old and modern, but the cost is prohibitive. I have the resources to do it, since my husband and I do that for other companies--that is how we support ourselves--I am fortunate when SurLaLune breaks even. But I would still have to pay our programmers for the additional programming and that isn't feasible, alas, although John and I could easily design it which would cut the costs in half. I gleaned the rest of this post from some of my previous posts. And if you want to order the books, I have instructions here. They are not currently listed on Amazon or B&N or essentially anywhere but with the publisher. There is a helpful article on Wikipedia, of course. It has a long list, but it is lightweight in giving background. From the Introduction to the Latest Folktale Catalogue This explains the new system, giving an overview of what has changed and what hasn't. The Types of International Folktales (ATU) based on the system of Aarne/Thompson constitutes a fundamentally new edition with extensive additions and innovations. The descriptions of the tale types have been completely rewritten and made more precise. The essential research cited for each type includes extensive documentation of its international distribution as well as monographic works or articles on that type. More than two hundred and fifty new types have been added. Types with very limited distribution have been omitted. A detailed subject index includes the most important subjects, actions, and other motifs, including actors and settings. 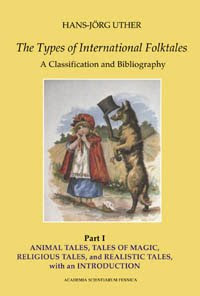 The Types of International Folktales is a bibliographic tool that guides its users through the corpus of published traditional narratives of different ethnic groups and time periods, with a description of each type followed by references to catalogs, texts, and published research. Each “tale type” in all the traditional genres (fables, animal tales, religious legends, ordinary folktales, jests, and cumulative tales) must be understood to be flexible. It is not a constant unit of measure or a way to refer to lifeless material from the past. Instead it is adaptable, and can be integrated into new thematic compositions and media. The background for this model of narrative alteration and innovation is evident in a change of paradigm that took place in recent decades in historical-comparative folktale research, a change that has necessarily affected the nature of this new catalog. 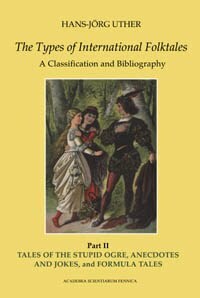 The catalog permits international tale types to be located quickly, thus providing a historical-comparative orientation toward folktale research for scholars in all disciplines that touch on popular narrative traditions.